After spending years working to push their new rules for how the rest of us can access and pay for health care in America, it shouldn't surprise that many on the left are now seeking and getting waivers from those very rules for themselves. In other words, ObamaCare for thee, but not for me. This tracts with what we've always known about big government liberals. They want to control and dictate how everyone else can live their own lives because they know better. They're smarter than you. Which of course means that they're also smart enough to be trusted not to have to abide by the same rules as you. 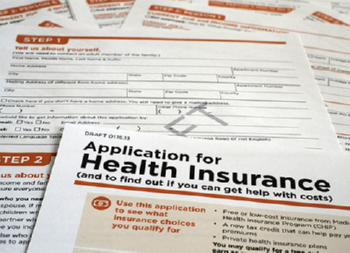 Three local chapters of the Service Employees International Union (SEIU), whose political action committee spent $27 million supporting Barack Obama in the 2008 presidential election, have received temporary waivers from a provision in the Obamacare law. Despite the fact that they had to drop this idea from the original legislation...and despite the fact that promoters of health care "reform" promised that no such thing would ever happen, here it is, just months removed from ObamaCare being signed into law. In case you missed it, the White House is planning to put forward regulations that will incentivize doctors to meet with patients and discuss their "end of life" options. Yes, you read that right and I am very sincere in my opinion. Obama should not be a one-term president. He should not be president at all. He should be removed BEFORE his first term has ended. First of all, we the people did NOT vote him into office. He was PLACED there by Communist Party USA. It was a gentle coup. I have been following the history of this which I will publish later. The Communist Party had been planning this for a long long time. It is that party which actually began stirring up racial strife in America, not only to make all races one (to erase individuality), but also to plant into all Americans, a sense of white guilt over slavery . To groom a black man for the high office was well calculated for that very reason, to silence anyone who objects to their man maneuvering Marxist goals for America by accusing them of racism.. Notice how the words race hatred comes up everytime someone rightly criticizes "The One" for his 'decisions' (actually the decisions of the Communist Party USA) that have shown a total lack of logic in every area. for a democracy. During the debate over ObamaCare, Democrats countered opposition to the bill by saying that, once it became law, it would become more popular. Echoing that theme, Speaker Nancy Pelosi stated they "had to pass this bill, so you can see what's in it". Well, now that it is law, some unpleasant surprises are cropping up. Over the course of the last few days, major corporations have announced that they will be facing multi-million dollar losses as a result of the bill. They have made these announcements as part of disclosures required by the Securities and Exchange Commission because they're publicly traded companies. But, that hasn't made Democrats happy. On Tuesday, Democrat Henry Waxman, Chairman of the House Energy and Commerce Committee, issued letters to those firms demanding they come to his committee and explain themselves. first year and imperil coverage for its 150,000 employees and retirees. Deere estimated it would raise expenses by $150 million. Remember "Jobs, jobs, jobs"? That's what Obama and the Democrats told us they were going to focus on a few months ago after that big upset win by Scott Brown in Massachusetts, (after he campaigned almost exclusively against ObamaCare). Well not only have they not changed their focus to jobs, we've spent another two months mired in debating their health care takeover scheme. And now comes a study from Americans for Tax Reform and the Beacon Hill Institute that projects ObamaCare would cost the economy around 700,000 jobs by 2019.
would create 250,000 to 400,000 jobs per year over 10 years. is a job killer, not a job creator. 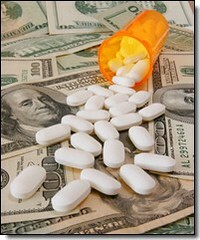 Democrats using drug company money to push ObamaCare? As they whip for the health care bill, Democratic leaders pack a mean one-two punch of populist rhetoric and the hefty financial backing of the drug industry. In the heated yearlong health fight, President Obama has often accused his opponents of willful misrepresentation, even as he and his allies have endlessly repeated the biggest whopper of all — that the bill would rein in the special interests. The Obama team regularly dismisses opponents as industry lackeys. In their effort to clear up any confusion whatsoever about where they stand on the Senate version of ObamaCare, the nation's Catholic Bishops put out a statement this past weekend that they asked to have read aloud and/or posted in their parishes which set the record straight. They are OPPOSSED to the bill. As long-time advocates of health care reform, the U.S. Yes, believe it or not, it's come to this. House Democratic leaders are working on a strategy which would allow the House to "pass" the Senate version of ObamaCare but avoid the unpleasant prospect of having to vote in favor of it on the record. The trick would involve them voting instead for a "reconciliation" package (changes to the Senate bill) which, under the new rule adopted for this purpose, would pre-suppose passage of the underlying Senate bill which they just voted to "reconcile". Just in case you're not keeping track at home, this makes at least three "unusual" changes to the normal legislative process that Democrats have employed to ram this bill through. The first being not having a conference committee to iron out the differences between the House and Senate bills, (because that could then be filibustered by the no longer filibuster proof Senate); the second being to propose using reconciliation in the Senate as a way to "fix" the bill so the House would vote for it, (again, so as to avoid need more than just 51 senators), and the third now being the House trying to pass a bill they don't actually vote for. Now that the Obama administration has decided to double-down on health care and demand passage of the Senate version of ObamaCare...and the White House has set a timeline of two weeks to get it done...it's safe to say that we're about to see some of the most severe arm twisting in political history. In fact, if you thought it looked bad the first time around, (when the House version passed by only 3 votes, and the Senate version passed that chamber by the bare minimum), you haven't seen anything yet. Why is that? Because the Democrats decided to forget about a conference committee, (the usual process of ironing out differences between House and Senate bills), and push the existing Senate bill through the House. The problem is that it must be passed WITHOUT any amendments or changes whatsoever. This is because, if it is changed, the Senate would have to approve it all over again...and this time there are 41 Republicans, (thanks to Scott Brown's win in Massachusetts), that can sustain a filibuster.